Looking to give your restaurant or café an interior update or overhaul? Read on! From decor and lighting to music and your overall vibe, we’ve rounded up the year’s best trends to help you create the look and feel that’s ideal for you – and your customers. 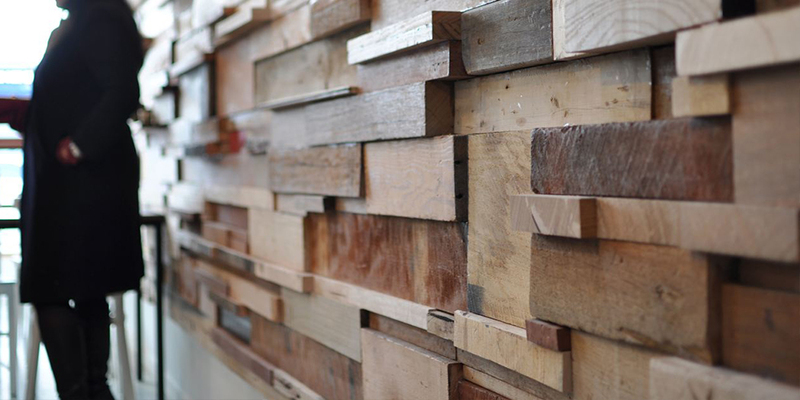 As people embrace sustainability, organic produce and eco-friendliness, we’re seeing more restaurants and cafes using natural materials in their interior designs – including exposed bricks, metal, wood and polished concrete – along with recycled, upcycled and ‘found’ elements. These materials are so versatile that they can be used to create all kinds of looks – from warm and rustic to raw and industrial – depending on what elements you choose. The shift towards spaces that bring the outdoors in is also set to continue. Think floor to ceiling windows that overlook gardens, bi-fold doors and louvre windows that soften the divide between inside and out, and lush greenery that’s integrated into interiors and courtyards. Environmentally friendly lighting once went hand in hand with harsh, blue, clinical hues. No more. The latest LED lights cast a warm, soft glow that’s not at all reminiscent of hospital-grade illumination. In fact, LED lights can cast pretty much any glow you choose, as they come in a variety of colours and can be customised to create a variety of moods. They’re suitable for use across your entire premises – from front of house to the kitchen – and are flexible enough to allow you to make changes if you decide to renovate down the track. And because LED lights are incredibly energy efficient and last up to 10 times longer than traditional halogen lights, they’ll save you a packet on overheads as well. It’s not just artists like Banksy and inner-city councils that are embracing what was once written off as graffiti. Cafes and restaurants are now commissioning street artists to create truly unique artworks for their premises – not just on the external walls, but inside as well. Melbourne café One Plus Piece has taken this trend even further by making art central to its entire theme. Designed around the cult Japanese manga series One Piece, the café’s décor is covered in anime artworks – allowing diners to enjoy a unique and quirky experience alongside its well-reviewed food and drinks. We’re a nation addicted to cooking shows, so it makes sense that we’ve embraced the concept of kitchen as theatre. From kitchens that are completely exposed, to diners that allow people to eat at the bar, there are many ways for you to offer patrons a front-row seat when it comes to seeing how their food is made. And as an added bonus, your customers should also gain a new appreciation for how hard your team works to create magic on the plate! 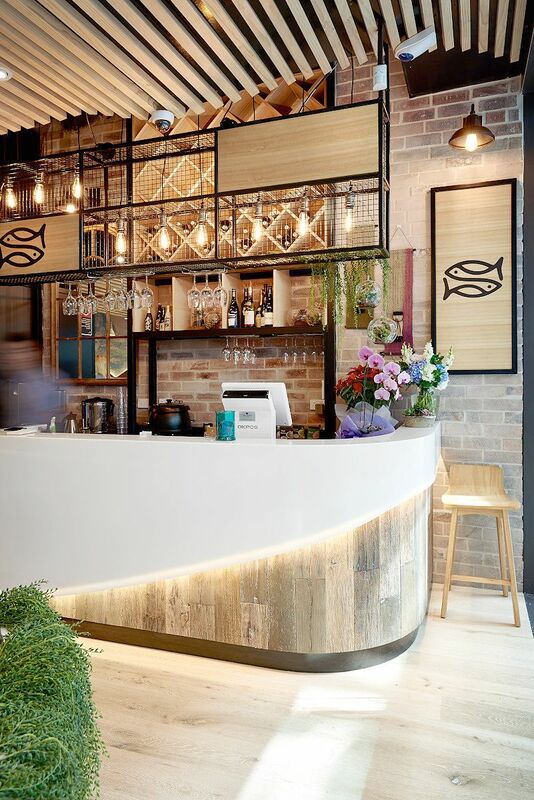 It’s a concept that’s been embraced by every kind of eatery – from fine dining superstars like Sydney’s Momofuku Seiōbo, to fast-food outlets like KFC, which has hosted Open Kitchen events to give customers backstage tours of selected stores. A recent study by Swedish consultancy Soundtrack Your Brand found that patrons prefer background music that’s designed to suit a restaurant’s image. More importantly, customers are likely to linger longer and spend more at venues where the music’s in line with their expectations – and leave more quickly when it isn’t. While these are unsurprising findings from a consultancy that creates exactly these kinds of playlists, they show why many business owners are making their musical choices key to their service offering. And thanks to online streaming services and digital playlists, it’s now easier than ever to do this – and create a soundtrack that’s distinctively ‘you’. Looking abroad, we’re already seeing the industry take this one step further with venues that are part café, part music showroom. The Sonos Studio in London is run by the American consumer electronics company, and promises patrons “coffee, eggs and bloody good speakers” within an acoustically perfect venue. Pantone, the global authority on colour, recently released its trend predictions for 2018. And in short, almost anything goes. Neutral metallics and iridescent hues will remain popular, as their shiny, pearlised and just plain blingy impact is impossible to ignore. There’s good news for lovers of vivid colours as well, with brights set to wipe the floor with their pastel rivals. You’ll be able to apply this principle to just about any colour over the coming year and stay bang on trend, with Pantone tipping intense versions of yellow, purple, green, lime, pink, red and more as standout shades. If it all gets a bit too much, subtle shades of pink and rose will still be on trend, while shades of white and almond will help balance more intense hues. If you’d like to grow your business by updating your café or restaurant’s design and need some finance to do it, talk to us about a small business loan.